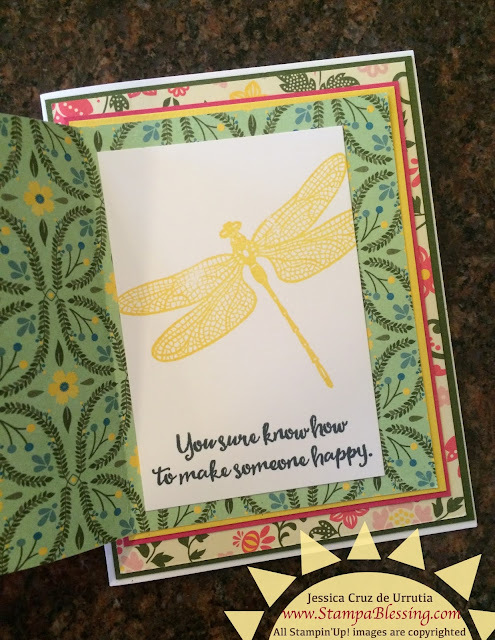 Stamp a Blessing: Did you know THIS is happening? Stampin'Up! 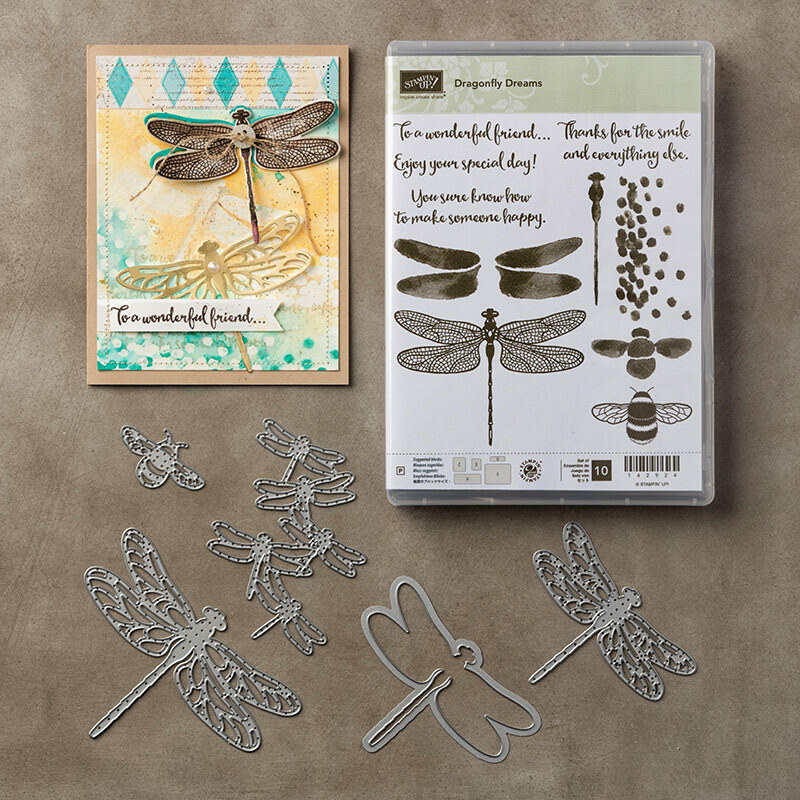 is famous for having wonderful stamping products and paper crafts in general. 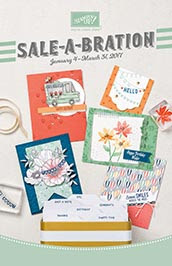 This season from January 4th to March 31st is the best promotion of the year called Sale-a-bration. 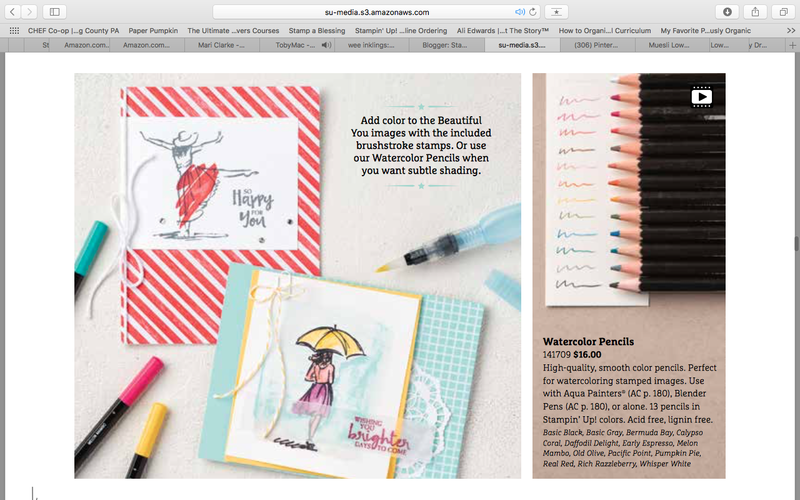 Check below the different deals and don't forget to visit my store. I chose a retired DSP pack I had available. Using my bash is fun! Have you been hoarding any papers in your closet? Get them out and ENJOY them! 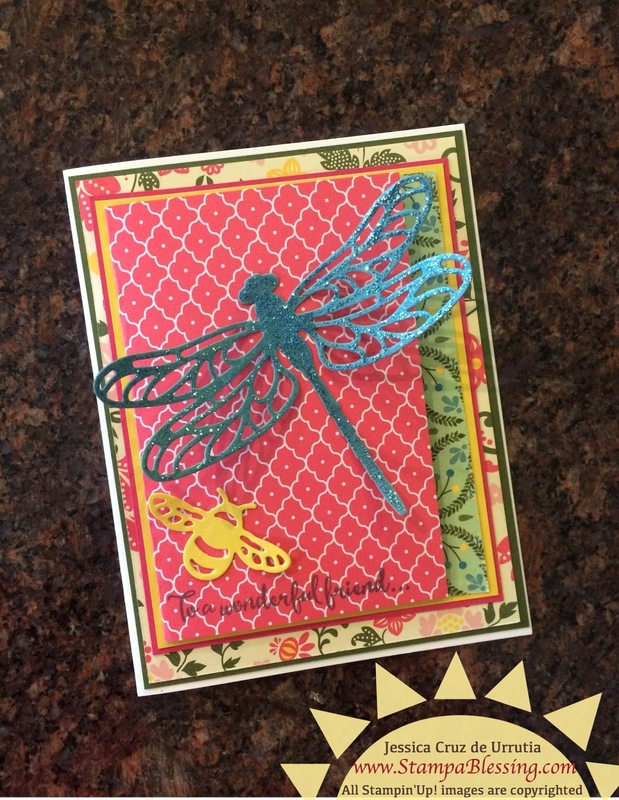 For this card I used an old blue stickies (glitter glue) to make the dragonfly shine! I made a fold in the front of the card with the coordinating DSP. Place Designer Series Paper on the inside of the card too! During Sale-a-bration when you spend $50 in products till March 31st you will receive a FREE product from the Sale-a-bration catalog. Link below! 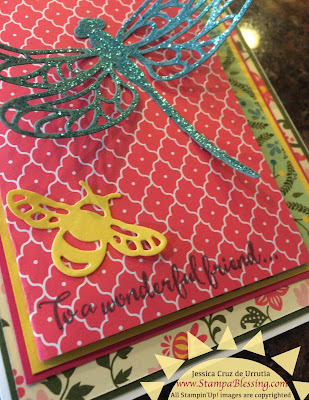 Saturday January 28th at 10 am Card Buffet 'What's trending?' 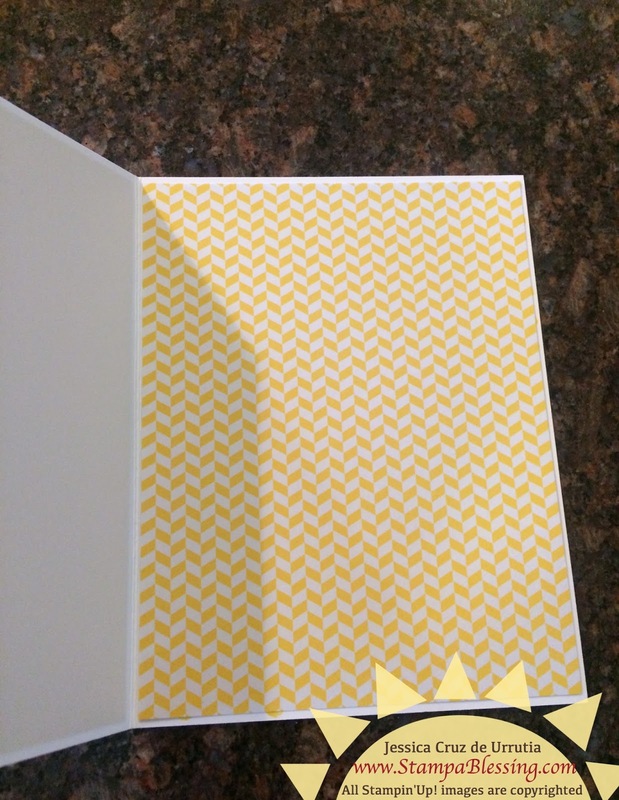 More information by email.